Do you want a stress free Christmas? If so, planning ahead is key, so find out what tasks you need to do this week to make a great Christmas a reality. 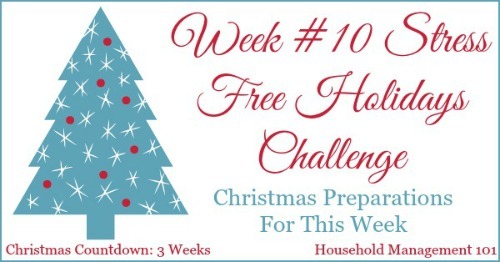 Can you believe this is week 10 of the Stress Free Holidays series? 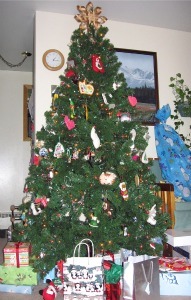 That means there are only three weeks until Christmas, and we are all in full Christmas preparation around our homes. This is the time of year when things start to get really busy, with parties and lots of Christmas activities happening. Hopefully all your Christmas preparations you've done already as part of the challenges will help you feel more prepared. Obviously we're still focusing on Christmas preparations this week as well, and although the tasks I have for you this week can take some time, they should all be lots of fun too. During last week's challenge I asked you to plan your Christmas decorations, and now this week you can slowly put them up throughout your home, inside and out. Decorating your home for Christmas can be as elaborate or simple as you want to make it, based on time and other factors in your life. No matter the amount of decorations to put up though, getting them out and putting them up can be a special Christmas tradition for you and your family. I know I have fond memories of putting up the Christmas tree and other decorations when I was a child, and my children anticipate it now. To keep the event fun and in keeping with our stress free Christmas theme, space out the decorating into at maximum 90 minute spurts, preferably on various days this week, or in one big afternoon or evening if there is not too much. You can also make some relaxing Christmas tea, such as black tea with cinnamon and orange peel in it to drink while you work, and while you enjoy the Christmas lights afterward. 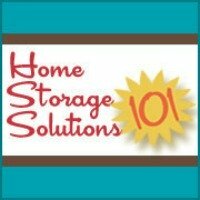 No matter what you choose to do to make the event fun, try to make it a tradition so you and your children have something to look forward to every year. It can be a really fun memory for your entire family. 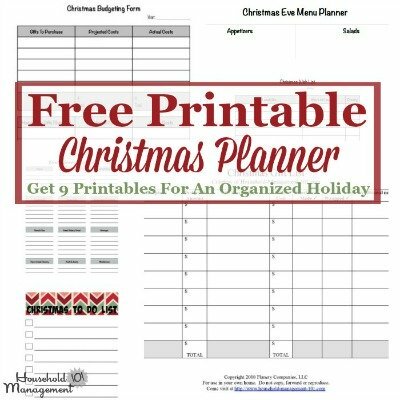 If you've been following the suggestions as part of this holiday planning series so far you've been doing your Christmas shopping for a while now. Now is the time to make the last push to finish all the shopping, so the rest of the time before Christmas you don't have to go out and fight the crowds. That in itself can give you a stress free Christmas. 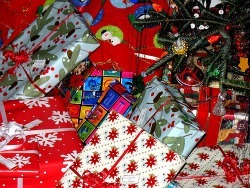 In addition, finishing your shopping now means you still have time to order things off the Internet and not pay extra for rush shipping, and will have plenty of time to wrap your presents in a leisurely way. Further, now is the time to finish up any planned homemade gifts. If you still have a lot to do be realistic about what you can actually finish this year, and if you need to you still have time to change your plans and give a different gift if necessary. You can also institute a family Christmas craft night one or two nights a week until Christmas to give yourself, and your kids, time to get those gifts done and have some fun as a family at the same time. Finally, this is also the week to ship out any gifts to far away friends and relatives. You won't have to stand in big lines yet at the post office, and you don't have to pay for rush shipping yet either. These are more than enough tasks for this week, but if you do them all you will be on your way to a stress free Christmas season! Happy Holidays! So if you want, also take a bit of time to relax, and have a bit of Christmas fun. Maybe even pop in one of these family Christmas movies, while you decorate or do some Christmas crafts! The last thing you should do this week is quite easy, but you'll thank yourself later. Just like you are finishing up all of your gift giving preparations, so are your friends and family. Prepare now to be ready when you receive your own gifts from loved ones. This isn't hard, but later once the season is not so crazy, and Christmas is over, you'll want to send thank you notes (in fact that's one of the tasks I've scheduled for Week #13 of this challenge). Make sure in all the hustle and bustle you don't forget anyone. To make this easy just print out this gift tracker template and stick it in your holiday planner, and then each time you receive a gift jot down the information about it. Then, after the holidays are over and you sit down to write out your thank you notes you'll have an organized list to work from! I'd love to hear how this week's tasks are going for you, so tell me down in the comments. You can share what you've accomplished, or any set backs you've had so we can all cheer you on. If you missed the previous parts of this series, you can still jump in. 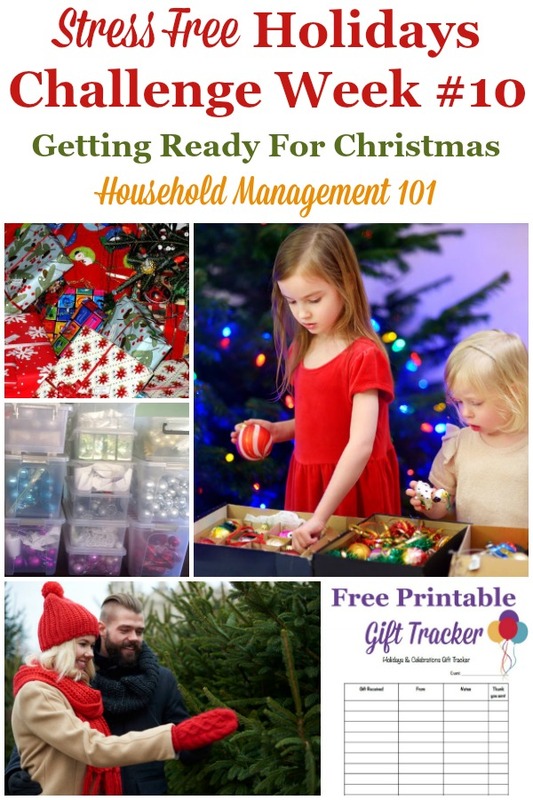 There is always time to start tasks to make yourself a stress free Christmas season.